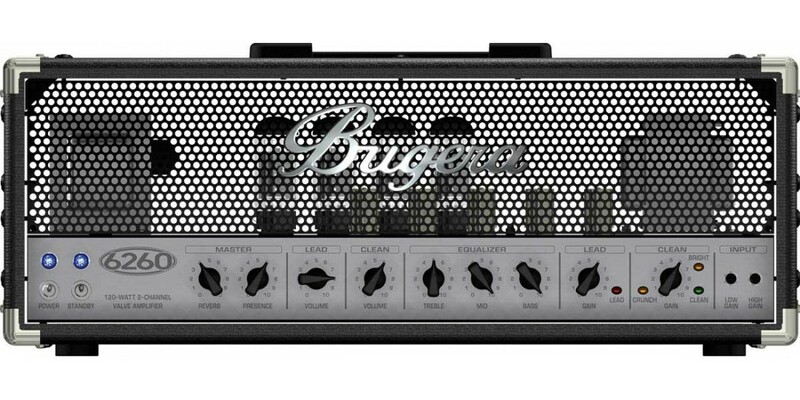 The Bugera 6260 120W 2-Channel Valve Amplifier Head with Reverb is the go-to guitar amp head for classic rock, alternative rock and metal bands due to its raw tone, massive power and road-worthy reliability. Whether you want punchy defined rhythm chords, sultry smooth classic rock lead tones or a huge wall of mind-blowing distortion, the 6260 provides extensive tone shaping abilities with virtually unlimited dynamics in a two channel configuration. 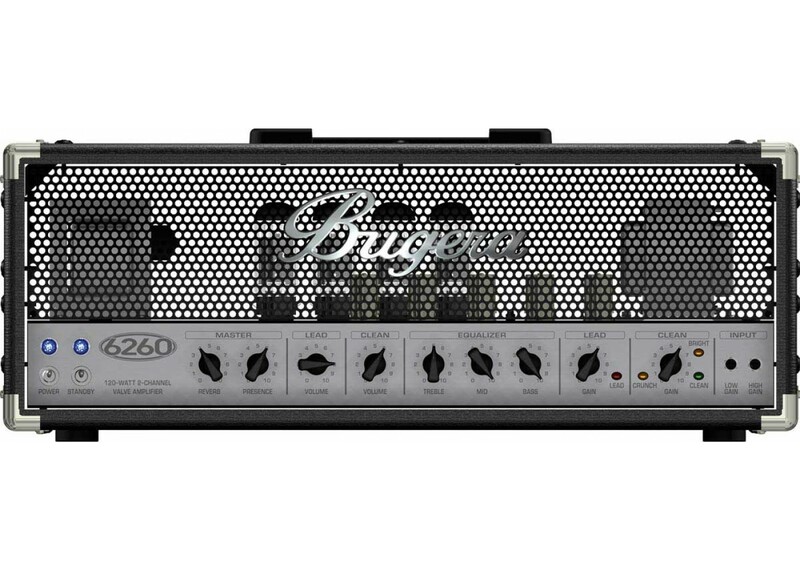 The 6260's brutal power comes from 4 hand-selected and matched BUGERA 6L6 power valves. 5 BUGERA 12AX7 valves in the preamp add up for terrifying punch and mind-rattling gain. Plus you'll love the detail in the fine reverb tails. Each channel features a vintage designed EQ section with Bass, Mid and Treble. Both channels offer Classic Presence control for further adjustments to your monstrous tone. We added Impedance switching to match virtually any speaker cabinet, from 4, 8 to 16 Ohms. Plus you'll love the detail in the fine reverb tails. The amp comes with a four-way, heavy-duty metal footswitch for channel and effects loop selection to tap your favorite effects. This boutique-style valve head is constructed using precision manufacturing, blended with our artisan hand assembly, so you can be confident it will stand the test of time. The next time you wield your axe, feel the Soul of Valves with the BUGERA 6260.